The movie was expected to perform better in a time when movies based on nationalism are working better. However, after getting her name involved in Panama Papers, the industry doesn’t seem to be working for her anymore. The movie took overhyped release with a budget of 25 crores. The movie opened weak at the boxoffice with only 15% occupancy on the opening day followed by 20% on Saturday and less than 20% on Sunday, averaging the total occupancy less than any other hit or average film. Sarbjit collected 3.69 cr nett on the first day which is itself strictly below average number considering the star cast in the movie. Film was expected to grow on the Day 2, but it doesn’t worth with only 120% (4.56 crore rupees). On Sunday, the occupancy and number of shows increased and Sarbjit minted out 5.71 crore rupees. The movie’s budget was 25 crore rupees, because of having T Series itself as the production house, the film had been overall benefited in the perspective of cost savings with the help of optimizations. The film released on over 1500 screens throughout the country, initially. 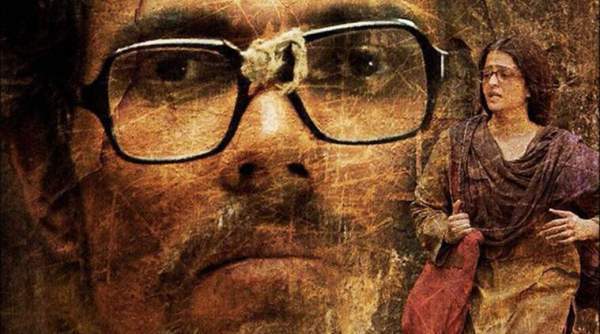 On Monday, Sarbjit successfully sustains its market by not losing much grip over the BO. The collections were little, but yet something is better than nothing. On Monday, Sarbjit collected 2.09 crore rupees totaling the first four days to 16.05 crore rupees. On Day 5 Sarbjit collections were somehow similar to the earnings on Day 4. Being less changed, the movie collected well 2.15 crores on the second weekday. Totaling the box office collection to 18.20 crores for the first five days collections. So all we can do is to wait and watch for the final report of Sarabjit BoxOffice Collections as they are the only thing which will govern whether the movie is a flop or a hit. No wonder what, Bollywood now needs to analyze and interpret the changing trends on the BO before starting shooting for any film whether on any topic or biopic. Sarbjit is not an end of Aishwarya Rai’s career. The timing of release s critical. One should not forget that nothing gives finalte number of chances in life. What a stupid story, meaningless. I thought this person is proving an objective review of movie. But this person is nonsense. ITS GOING TO BE A HIT,DON’T DO NONNSENSE SPECULATION ABOUT ANY MOVIE WHICH YOU HAVENOT WATCHED,SHAME ON U CRITICS. It is not a question of timing. MIS CAST. ASH is a mis cast in a role that requires natural intensity . Should be an effortless performance. An actress with real talent and who can bring real passion in anger is a winner. She suits roles that require glamor. CRITICS sitting in the lap of Hollywood Industry has ruined Hindi movies industry. Richa Chadda should have been the heroine. Just watched Gangs of Wasseypur – now that is powerful acting.